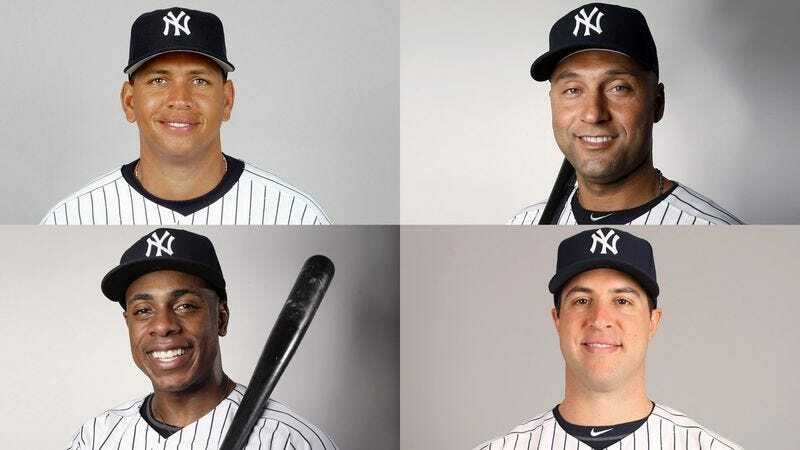 NEW YORK—After recently acquiring third baseman Alex Rodriguez, center fielder Curtis Granderson, first baseman Mark Teixeira, and shortstop Derek Jeter, the New York Yankees disabled list is absolutely stacked this year, sources confirmed Thursday. “This is a deep, deep DL,” said ESPN baseball analyst John Kruk, who noted that the injured list is loaded with power, speed, and multiple probable Hall of Famers. “Looking at the sheer talent they have, from top to bottom it’s a murderers’ row. If they can land a couple quality pitchers, this could be one of those historic disabled lists that people talk about for decades to come.” At press time, unconfirmed rumors indicated that the Yankees’ formidable disabled list may soon acquire Cy Young–winning left-handed pitcher CC Sabathia.